When my technology based teaching project got selected for international publication by Central Square Foundation and British Council jointly. 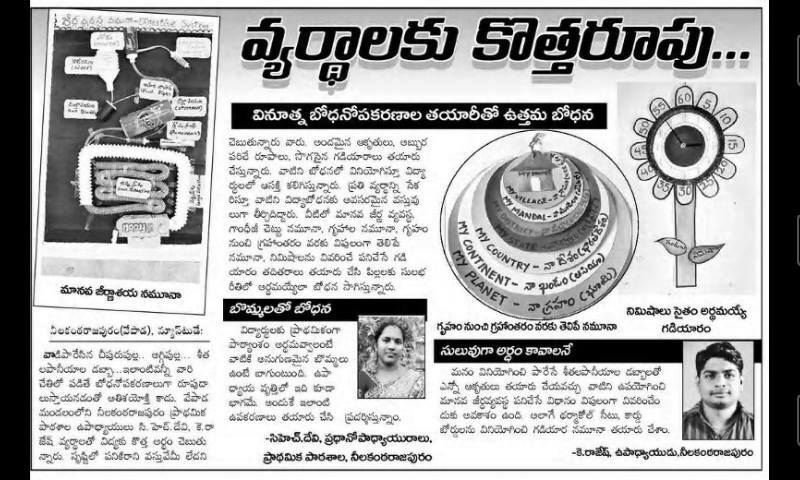 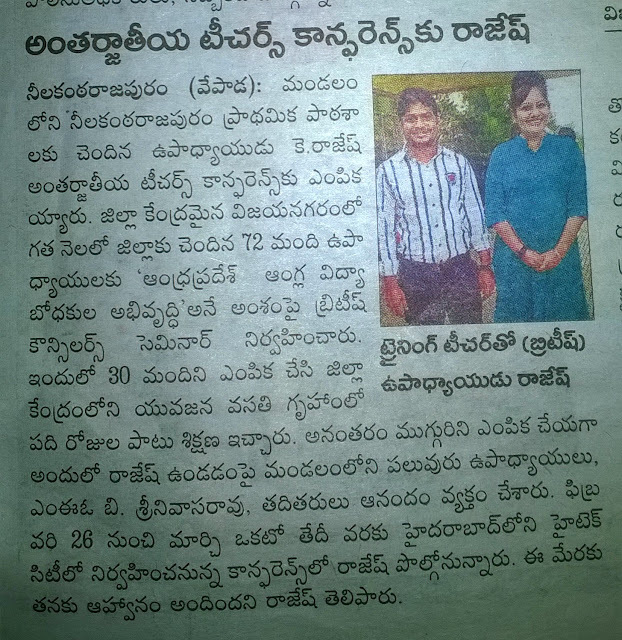 When I got selected for Fifth International Teacher Educator Conference 2015 from Andhra Pradesh. About Innovative Teaching Learning Material Prepared by me.